I have taught 100’s of Capoeira students in my career, and probably by now 9 years later, 1,000’s. I know that people are attracted to the cool acrobatics and ground moves of Capoeira but…the “arroz e feijoes”, or rice and beans, of Brazilian Capoeira are the Ginga, kicks and dodges. Remember that Capoeira was developed by African slaves in Brazil about 500 years ago. It is first a martial art. and all the other variations. But there are the 3 main Capoeira spinning kicks that stand out from all the other martial arts. Those are Queixada, Armada, and Meia Lua de Compasso. What makes these kicks unique is that they are un-chambered, meaning there is no snapping or movement from the knee making foot calve, ankle, and foot move. 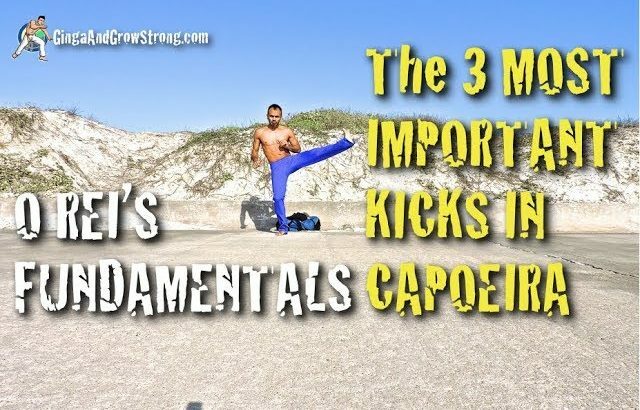 Although Capoeira does have those versions of the kick, the most used and fundamental versions of these kicks are just kicked with a locked leg and flexed toes (not all schools). This allows a very fluid game (sparring session), and dodges to be used more fluidly. Check out the video below for the exact description. I love to make things simple for people to learn. I remember being the fat, uncoordinated, non-flexible, guy with a baggy uniform shirt sweating like a pig in the back of a packed class. It was hard, but fun. 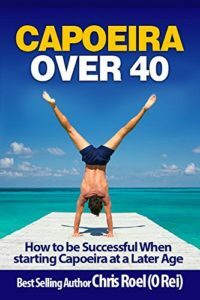 I sweat out 20 pounds in two months doing nothing but dodges and kicks…with minimal acrobatics (au, macaco, and bridge). I can appreciate a good teacher keeping it simple, and very organized. That’s one thing that I credit to my teacher/mentor Mestrando Advogado. He was just a Graduado back then (12 years ago from today), but he had an organized repeating curriculum that wen over all the fundamentals, and repeated it every few months. That is the way that people learn best…at least people from the United States. I use that same philosophy when teaching my students, and it has allowed me to successfully teach toddlers, kids, teenagers, adults, and the elderly…male and female. It doesn’t matter what their fitness level is, or their experience in martial arts, dance, or athletics. So my advice to you reading this blog, is to keep it simple first. Once you have gotten the swing of the kicks, dodges, and basic movements, then tackle some of the intermediate moves. 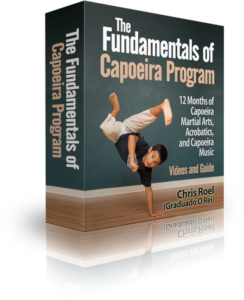 You should also check out my Fundamentals of Capoeira Program on special for a limited time here. 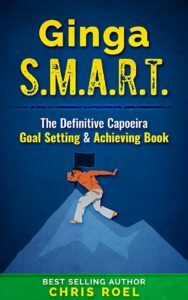 It goes over all the basics of Martial Arts, Acrobatics, Movements, and Music (Brazilian Portuguese and English Translations). That should get you through the first couple of months of Capoeira. Plus, you can always supplement your training with my other videos on my Youtube Channel here, so make sure to subscribe. Also, if you have any questions, make sure you put them below, and I will answer them with the quickness. Until next time galera…Axe.